Founded by The Junior League of Greensboro in 1935, the Bargain Box (a locally-owned thrift store store) is the League’s largest ongoing fundraiser. Since it’s founding, the Bargain Box has helped The Junior League of Greensboro fund nearly 3 million dollars worth of community projects. In 1935, the Junior League Gift and Antique Shop became known as the Junior League Thrift Shop. In 1947, the Thrift Shop became a League mainstay and changed its name again—this time for good—and celebrated the grand opening of the Bargain Box on Summit Avenue. In 1949, the Bargain Box moved again and would later move only six times until 2016: 145 Bishop Street, 117 South Davie Street, 218 South Greene Street, 908 North Eugene Street, 113 South Elm Street, and finally, 122 North Elm Street. In 2016, we settled into our new location at 1410 Mill Street. 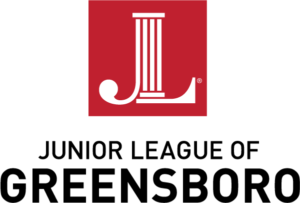 To learn more about the Junior League of Greensboro, visit our website.